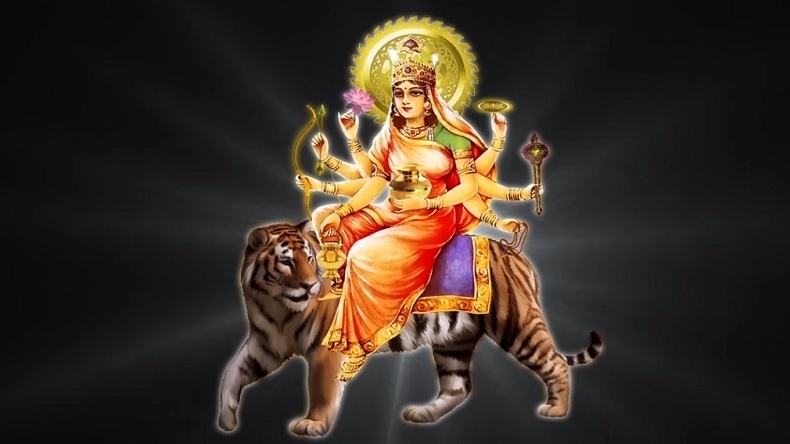 Happy Navratri 2019 HD wallpapers, Gif images, Navratri pictures and photos for Facebook & Whatsapp Status: Chaitra Navratri will be celebrated from April 6 till April 14, this year. The auspicious festival of Hindu religion falls in the month of March or April as per the Luni-solar calendar. Lauded as the Hindu New Year, Chaitra Navratri marks the celebration of power. During the nine-day celebration, 9 incarnations of Goddess Durga are worshipped by the devotees. Take a look at Happy Navratri 2019 Gif, HD wallpapers, Images and photos for Whatsapp & Facebook Status. Happy Navratri 2019 HD wallpapers, Gif images, Navratri pictures and photos for Facebook & Whatsapp Status: One of the most celebrated festivals of Hindu religion, Navratri is round the corner. The nine days festival is celebrated four times a year out of which, Chaitra Navratri and Sharad Navratri are lauded with zeal and enthusiasm around the world. Marking the beginning of the Hindu New Year as per the Luni-solar calendar, Chaitra Navratri usually falls in the month of March or April. This year Chaitra Navratri will begin from April 6 i.e. Saturday and will be celebrated till April 14. For nine days, 9 incarnations of Goddess Durga are worshipped by the devotees in their respective traditional ways. Navratri celebration starts with Mata Shailputri. After dedicating a day to Goddess Shailputri, the celebration is followed by Mata Brahmacharini, Mata Chandharghanta, Mata Kushmanda, Mata Skandamata, Mata Katyayani, Mata Kalratri, Mata Mahagauri and Mata Siddhidatri. Not just the 9 incarnations of Goddess, different colours in order to bring good luck is also associated with the nine-days of celebrations. maan ke kadamo kee aahat se goonj uthega aangan. jo aapaka dil chaahata hai. yahee hai aapako hamaaree taraph se navaraatri kee shubhakaamana. maan ke kadamo kee aahat se goonj uthega aangan! aisa navaraatree utsav is saal ho! sukh sampatti mile aapako apaar, meree aur se navaraatri kee shubhakaamanaen karen sveekaar!